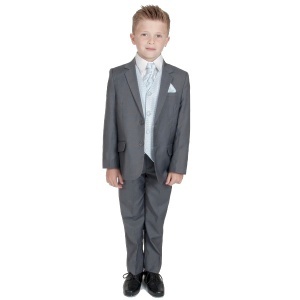 Grey & pale blue 6 piece slim fit jacket suit for baby boys, toddler or older boy, the perfect outfit for any special occasion including a christening, wedding as a pageboy / guest, formal occasion etc. 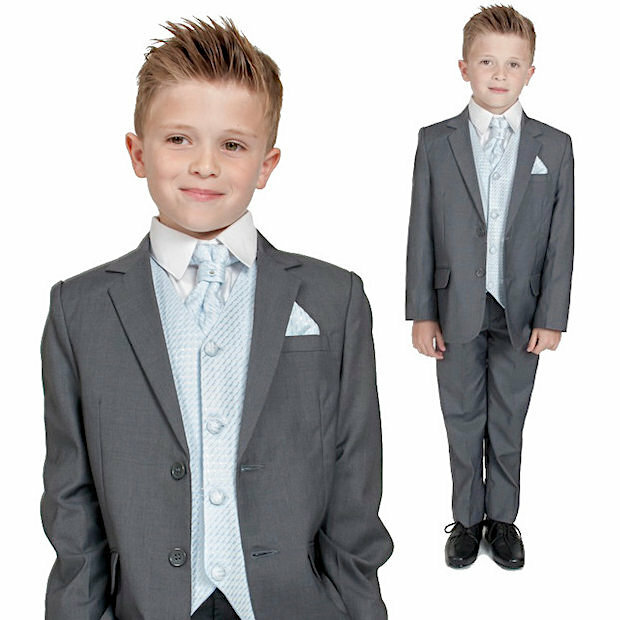 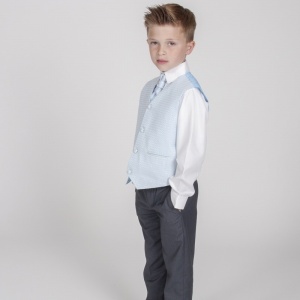 This grey & blue 6 piece slim fit outfit will make him look like the perfect handsome gentleman at a christening, wedding as a pageboy / guest or a special occasion. Suit is perfect, price I paid is fantastic, worth much more. 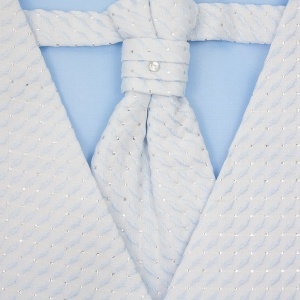 Thanks for such a great service, will recommend your website to everyone.